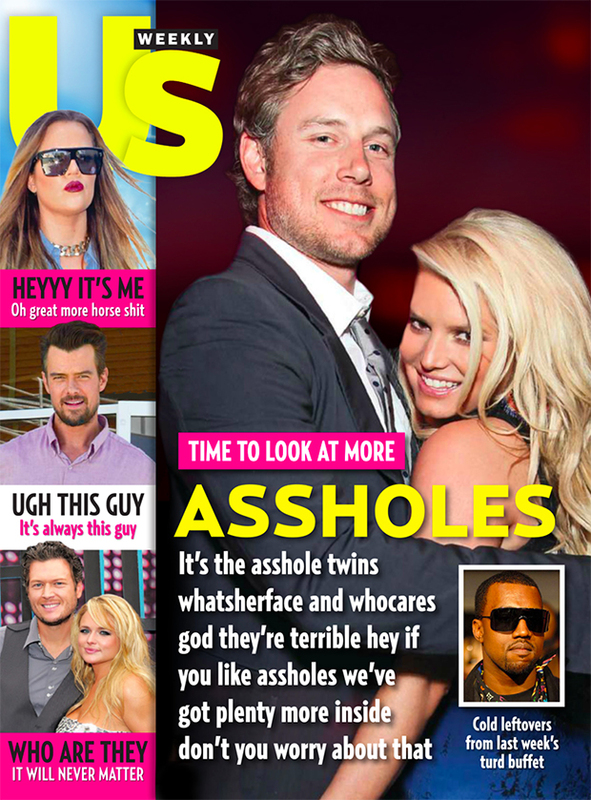 Originally created by the Tumblr LiarTownUSA, which features graphic designer Sean Tejaratchi's devastingly crude Internet commentary in Photoshop form, this Us Weekly cover spoof is worth a look. If you're a tabloid skeptic, the copy might resemble the internal monologue running through your head when you're looking at one of these covers. Except my internal monologue doesn't use the word "assholes" quite so much.